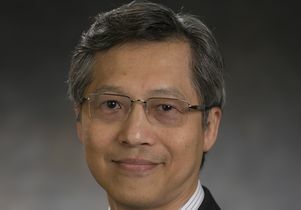 James C. Liao, UCLA's Ralph M. Parsons Foundation Professor of Chemical Engineering and chair of the chemical and biomolecular engineering department at the UCLA Henry Samueli School of Engineering and Applied Science, has been elected to the National Academy of Engineering. Election to the academy is one of the highest professional distinctions that can be awarded to an engineer in the United States. The academy's citation recognized Liao "for advances in metabolic engineering of microorganisms to produce fuels and chemicals." He joins 68 other new members and 11 foreign associates elected for their outstanding contributions to "engineering research, practice, or education," the academy announced today. "Jim has made pioneering advances in applying metabolic engineering and synthetic biology techniques to solve critical and intertwined problems in the biological production of fuels and the combating of greenhouse gases," said UCLA Engineering dean Vijay K. Dhir, a National Academy of Engineering member. "He is truly deserving of this very highest of honors." 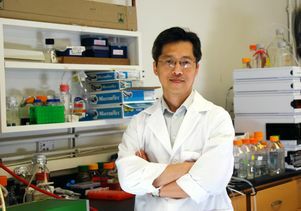 Liao has received much acclaim for his work developing more efficient biofuels. He has genetically modified bacteria to both consume carbon dioxide, a harmful greenhouse gas, and produce the liquid fuel isobutanol. In essence, he and his team turned exhaust into fuel in a series of biochemical reactions powered directly by sunlight. Liao has also developed a way to turn electricity into liquid fuel and a method for converting proteins into fuel. He has used his techniques to address obesity by increasing metabolism rates — research that showed successful results in mice. Liao says his ultimate research goals are to use biochemical methods to replace petroleum processing and to treat metabolic diseases. "This great honor should go to my previous and current group members, who really have made all the difference in the world," Liao said of his election to the academy. "I also appreciate the support of my colleagues, the department and the school." Liao, who received his Ph.D. from the University of Wisconsin, Madison, began his career as a research scientist at the Eastman Kodak Company. He joined UCLA Engineering in 1997. He has received numerous honors for his work, including the Environmental Protection Agency's Presidential Green Chemistry Award; a Champion of Change award from the White House; the James E. Bailey Award from the Society for Biological Engineering; the Marvin Johnson Award from the American Chemical Society; the Charles Thom Award from the Society for Industrial Microbiology; the Food, Pharmaceutical and Bioengineering Division Award from the American Institute of Chemical Engineers; and the Merck Award for Metabolic Engineering. The UCLA Henry Samueli School of Engineering and Applied Science, established in 1945, offers 28 academic and professional degree programs and has an enrollment of more than 5,000 students. The school's distinguished faculty are leading research to address many of the critical challenges of the 21st century, including renewable energy, clean water, health care, wireless sensing and networking, and cybersecurity. Ranked among the top 10 engineering schools at public universities nationwide, the school is home to nine multimillion-dollar interdisciplinary research centers in wireless sensor systems, wireless health, nanoelectronics, nanomedicine, renewable energy, customized computing, the smart grid, and the Internet, all funded by federal and private agencies and individual donors. For more UCLA news, visit the UCLA Newsroom and follow us on Twitter.